Image from the film This Changes Everything. 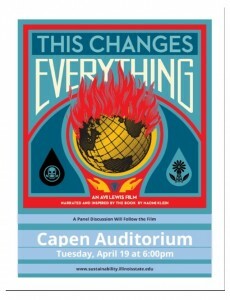 Climate change will be the focus of a documentary screening on April 19. 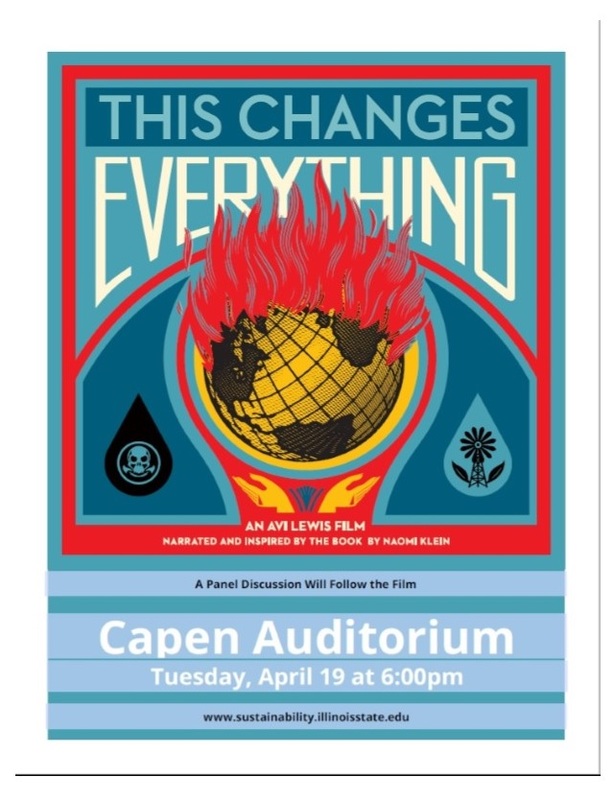 A screening of the film This Changes Everything will be at 6 p.m. Tuesday, April 19, in Capen Auditorium, Edwards Hall. The event is free and open to the public. Directed by Avi Lewis, and inspired by Naomi Klein’s international, non-fiction bestseller, This Changes Everything presents seven powerful portraits of communities on the front lines, from Montana’s Powder River Basin to the Alberta Tar Sands, from the coast of South India to Beijing and beyond. Interwoven with these stories of struggle is Klein’s narration, connecting the carbon in the air with the economic system that put it there. Throughout the film, Klein builds to her most controversial and exciting idea: that we can seize the existential crisis of climate change to transform our failed economic system into something radically better. Filmed over 211 shoot days in nine countries and five continents over four years, This Changes Everything is an epic attempt to re-imagine the vast challenge of climate change. Along with the American Democracy Project, the screening is also sponsored by the Department of Sociology and Anthropology, the Department of Politics and Government, the Office of Sustainability, and the Student Sustainability Committee.